"There's rosemary, that's for remembrance; pray, love, remember." 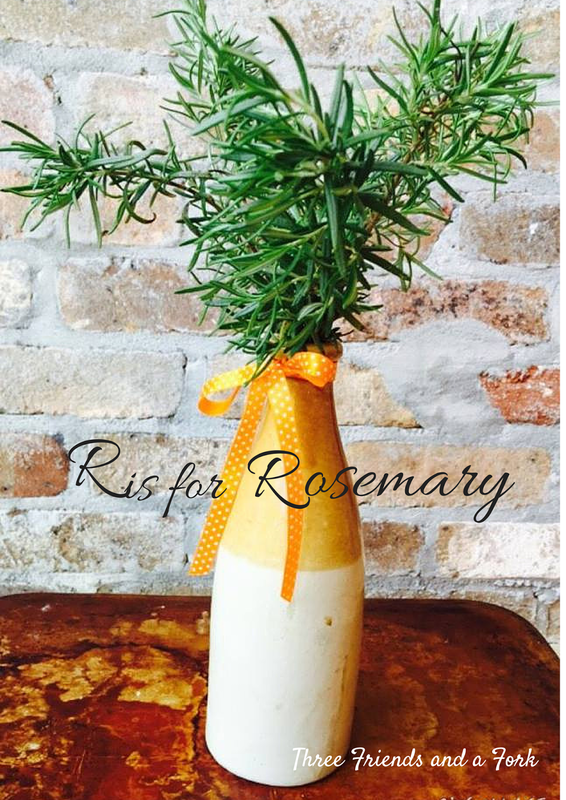 Even before Shakespeare penned those words, rosemary was the herb attached to friendship and remembrance. Perhaps it was the beautiful, piney scent of rosemary that led to this belief. It is a smell that lingers and can drown out other, less appealing odors. I love the rosemary trees that are sold at Christmas time, not only for the Christmas tree look they have, but for the Christmas tree smell. But it's not just for Christmas. I love the scent of rosemary year round. Rosemary sprigs in a vase not only smell good, they look pretty, too. Rosemary is a hardy herb. Here in Alabama, it can withstand our winters and grow year round. That makes me really happy, because rosemary is one of my most used and most favorite herbs. I love to use it in my spaghetti sauce and to flavor olive oil and butter. I use it when I roast chickens or when I am making chicken stock and when I roast potatoes. The strong woody stems make great skewers for grilling vegetables, serving double duty as the skewer and the flavoring. Rosemary does not have to be relegated to savory recipes. One of my favorite cookies is made with rosemary. It is a rosemary thumbprint cookie filled with pear preserves and it is delicious. You can see them here and you can get a printable recipe here. Whatever you do, don't forget the rosemary!